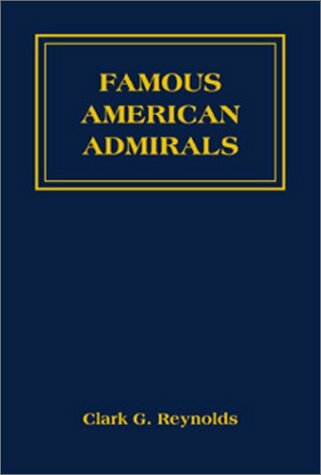 When first published in 1978, this book was immediately recognized as a useful and interesting source of information on U.S. naval and maritime flag officers. That reputation remains today, although copies have become hard to find in recent years, even in secondhand bookstores. Now with the publication of this reprint, a new generation of readers drawn to naval history can enjoy the 215 biographies presented. All of the top fleet and task force commanders, naval strategists, fighters, reformers, inventors, and legendary heroes in American naval history are covered, from the revolutionary John Paul Jones (who made flag rank only in the Russian navy) to the dynamic though controversial Hyman G. Rickover. Along with photographs or portraits, every entry highlights the dynamic careers of leaders selected from the U.S. Navy, Coast Guard, Maritime Service, Confederate States Navy, and even the Republic of Texas Navy. Each biographical sketch gives the complete service record, including ship and shore billets, as well as personal and academic background, battles fought, and the feats that made the subject famous. With all these details, the book adds up to a remarkably thorough biographical profile of American naval and maritime history. Accompanying the text is an appendix listing all major U.S. and Confederate naval commands and commanders since 1775 and an index of ship names, officers, battles, and campaigns. Mr. Sweetman has done a fine job with this interesting and readable collection. From Drake to Farragut to Togo to Halsey, this book will draw you in to examine the great generals of the past, detailing the decisive battles they commanded. The essays by the editor also supply a wealth of information about the history and tactics of naval warfare. A fine tome.